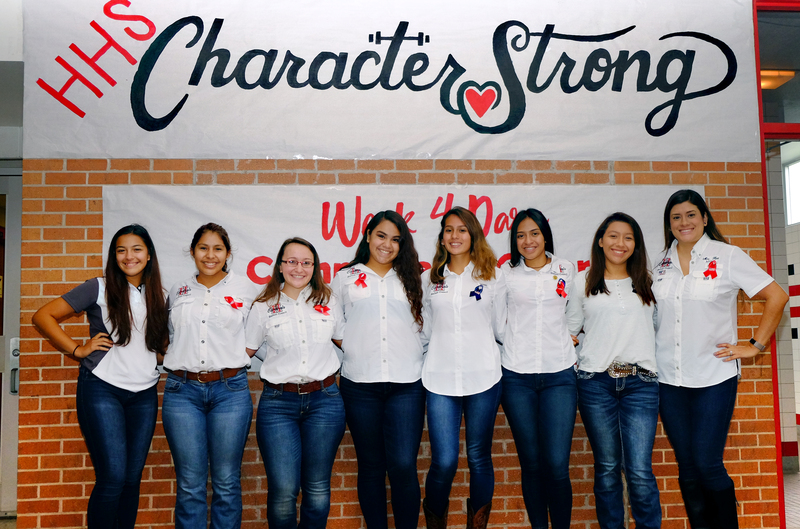 A new initiative aims to nurture a culture of character at Harlingen High School. “It’s about making kindness normal. It’s about creating a better school environment for all students,” says Serena Garcia, a senior. Character Strong teaches students how to become more successful in relationships by building influence through servant-leadership. Every Thursday, the bell schedule is adjusted by about ten minutes to accommodate group activities during students’ third-period classes. Students take part in character building activities during this time and get to know one another better. The entire school body is also encouraged to take part in a weekly “dare” that is prominently displayed on a large banner in the main hallway of the school. This gives students unique ways to engage in kindness, forgiveness, honesty, respect, and more. This week the “dare” is – give genuine compliments to five people you notice throughout the day. Leading the Character Strong initiative at HHS is the Student Council. It was adopted after Student Council Advisor Veronica Hunt attended a workshop in May. Aside from transforming the culture and how HHS builds community, Character Strong is teaching students how to empathize and resolve differences at a time when division seems rampant.